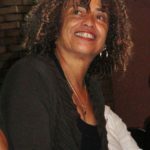 Angela Davis is an American political activist, academic, and author. She emerged as a prominent counterculture activist and radical in the 1960’s as a leader of the Communist Party USA, and had close relations with the Black Panther Party through her involvement in the Civil Rights Movement. As a result of purchasing firearms used in the 1970 armed take-over of a Marin County, California courtroom, in which four persons were killed, she was prosecuted for conspiracy. She was later acquitted of this charge. "Poor people, people of color – especially are much more likely to be found in prison than in institutions of higher education." "My name became known because I was, one might say accidentally the target of state repression and because so many people throughout the country and other parts of the world organized around the demand for my freedom." "I never saw myself as an individual who had any particular leadership powers." "Had it not been for slavery, the death penalty would have likely been abolished in America. Slavery became a haven for the death penalty." "It’s true that it’s within the realm of cultural politics that young people tend to work through political issues, which I think is good, although it’s not going to solve the problems." "As a black woman, my politics and political affiliation are bound up with and flow from participation in my people’s struggle for liberation, and with the fight of oppressed people all over the world against American imperialism." "To understand how any society functions you must understand the relationship between the men and the women."